Long time retail player (2005-2017 off and on), mainly play Shaman and Warlock. Tried out Warmane Lordaeron but really interested in this server. How is it looking so far? How is Shaman? 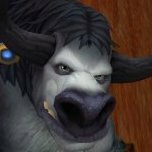 Any major class bugs that you have found? Hows the economy?